We are the remarkable entity, engaged in offering a superior range of Electrical Appliances Repairing Services to our valued clients. Offered ranges of services are in line with modern market trends and timely completed. We are best in the market due to our quality approved the range of services. 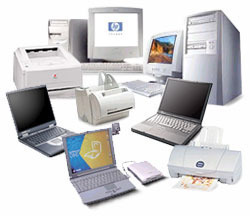 Best quality of Repairing Service is provided by us to customers as per their requirements. Star Service Center have a team of appliance repairs technicians that can carry out repairs to your broken and damaged equipment. For over 10 years our company have carried out hundreds of electrical appliance repairs for many Dehradun homes and businesses. We are an eden service point, reliable air conditioning/heating company that specializes in refrigerator service & repair. Fixzi engineering, has been providing expert cooling solutions for over six decades. Fixzi engineering provides you with the finest and most comprehensive range of services, to take care of your air-conditioning system. Providing repair service such as washing machine repair service.